You have probably already read many blogs about how coconut oil can vastly improve your life. If you have applied any one of the methods that you read, you probably would agree that yes, coconut oil is a great life hack. I’m not here to convince you otherwise, as if the title of this blog didn’t give that away. Since coconut oil is one of the best “open secret” life hacks out there, why not continue to add to the many uses it has? 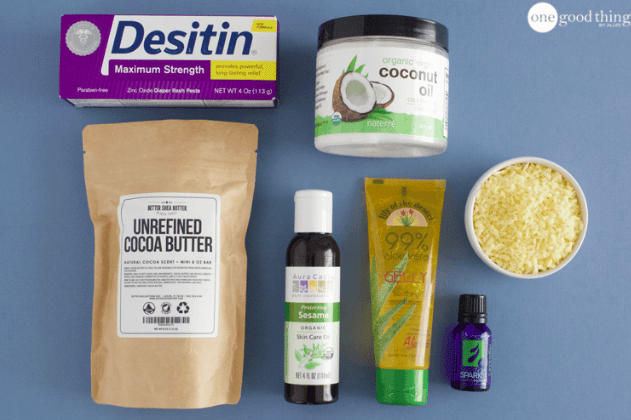 Below are 10 more innovative ways to use coconut oil to make your life easier or more enjoyable. Did you know there is a healthy way to eat Nutella? 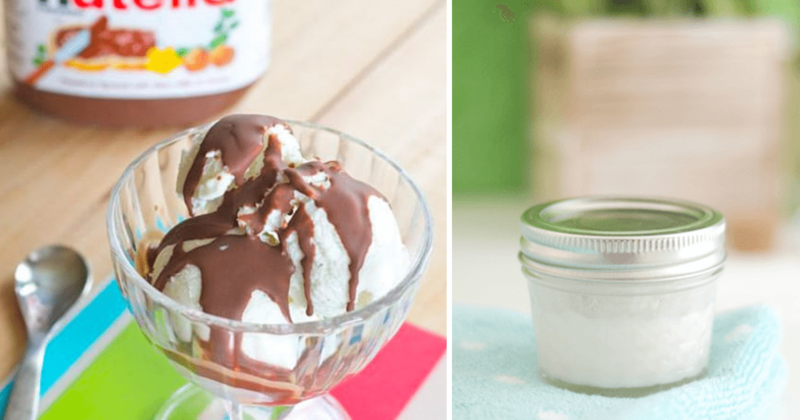 Okay, that’s not exactly true… but there is a healthier way to eat Nutella. Simply mix coconut oil and Nutella at a 2:1 ratio for a delicious snack! If you pour this mix over ice cream, it will harden within a minute. Yum! Have an ear infection but don’t have time to drop everything and go to the doctor? Try this in the meantime. Lie on your side and put a few drops of melted coconut oil in your ear. You can also apply a small chunk if you don’t have an eye dropper lying around. Don’t worry, your body heat will quickly melt it. Keep laying down so the oil can fully absorb into your ear. You can place a cotton ball on your outer ear to prevent any oil from coming out. All it takes is this simple two-ingredient remover to tackle even the most toughest of eye makeup. Best of all, it works quickly and easily, and leaves the skin feeling soft and moisturized. Click here for this DIY makeup hack. If you suffer from a gluten allergies, this one is for you. Best part: this gluten-free treat doesn’t taste gluten-free! 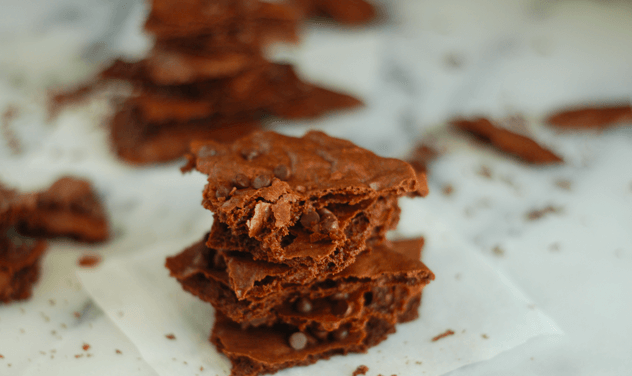 Coconut oil plays a major part in making this brownie bark delicious to eat! Click here for the recipe. It’s always best to have back-up deodorant in the event that you run out. That is not a situation you want to find yourself in. 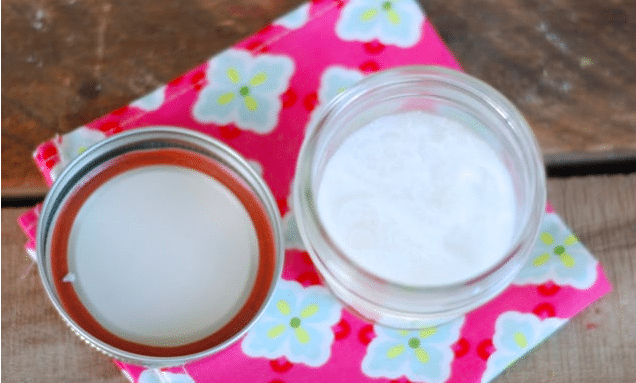 To remedy this, make your own deodorant with this recipe. This option is cheaper, healthier, and non-staining compared to your traditional deodorant/antiperspirant. Plus, it’s all natural. Just like running out of deodorant, getting gum out of your hair is a situation you do not want to be in. 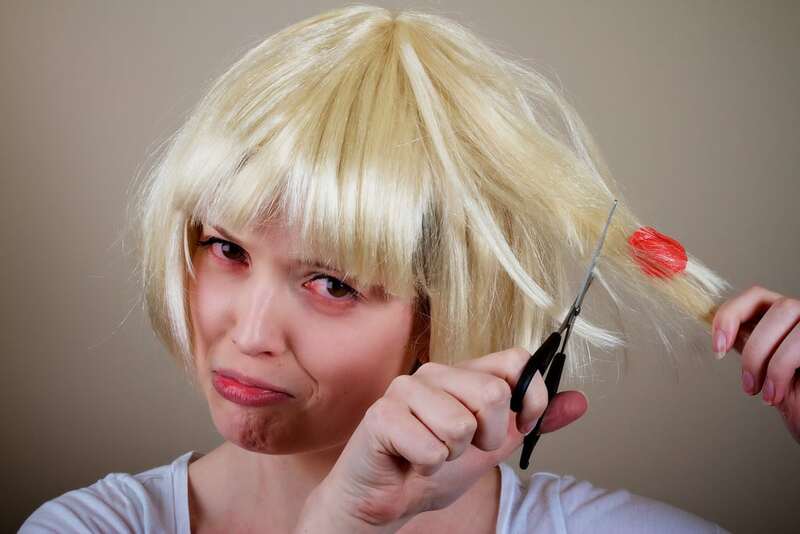 But if you are a parent, you might have experienced your kids getting something sticky stuck in their hair, leading you to have the joy of either trying to dig it out or giving your child a funny haircut. While there is a rumor that peanut butter can help in these dreadful moments, coconut oil is actually a better alternative. Apply some coconut oil on the gum, let it sit for a couple of seconds, and then slide the gum out. Voila, you’re a hero, at least in your child’s eyes. Summer may be ending, but until winter sets in, we’re not out of the woods yet when it comes to mosquitoes or other pesky bugs. 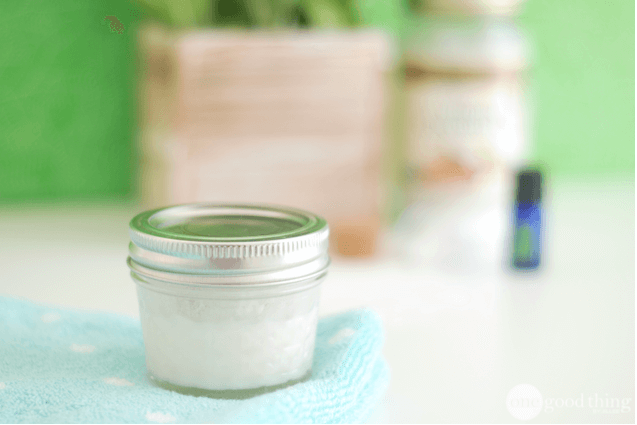 For a DIY insect repellent, mix coconut oil with an essential oil like peppermint or tea tree. Then rub this ointment on your skin. For an extra bonus, rubbing coconut oil on an existing bug bite can also calm the itching and reduce any swelling. When you run out of shower scrub, you don’t always have time to go to the store and pick up more – especially if you are in the middle of a shower. 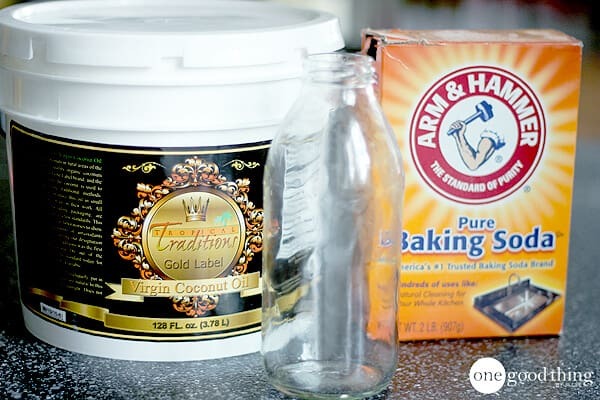 If you happen to have extra coconut oil lying around, try this. 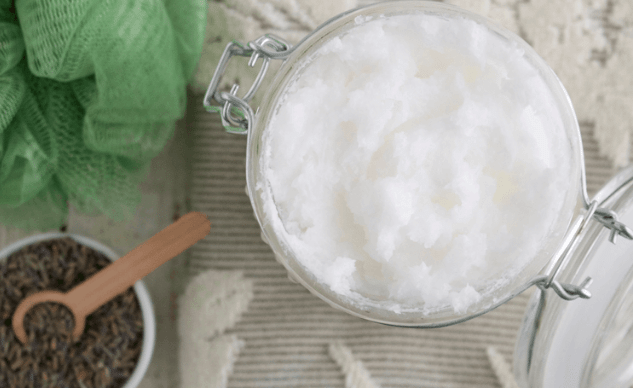 Combine coconut oil, Epsom salt, and essential oil for a body scrub that both exfoliates and softens and soothes sensitive skin. Follow this recipe to make the scrub. Removing the sticky substance left behind from stickers or labels can be tedious. Thanks to this coconut oil and baking soda blend, it doesn’t have to be. Simply mix equal parts coconut oil and baking soda and add a few drops of a citrus-based essential oil. This mixture will do the trick! Wooden tools are great for the kitchen, but some require more upkeep than your standard metal spatula. 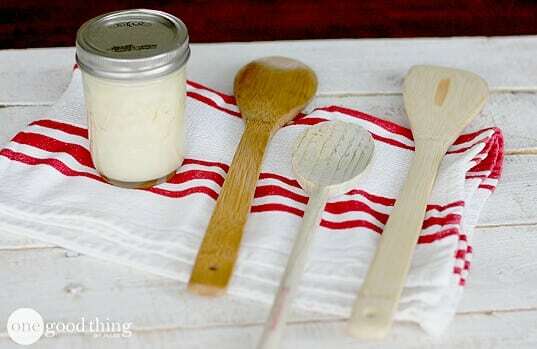 To prevent your wooden cutting boards, spoons, bowls or platters from drying, staining or cracking, use a moisturizing “spoon butter”. Pretty cool ideas, right? My favorite is the gum remover tip. It could be a cool party trick if you ever find a guest in that situation and happen to find some coconut oil lying around. 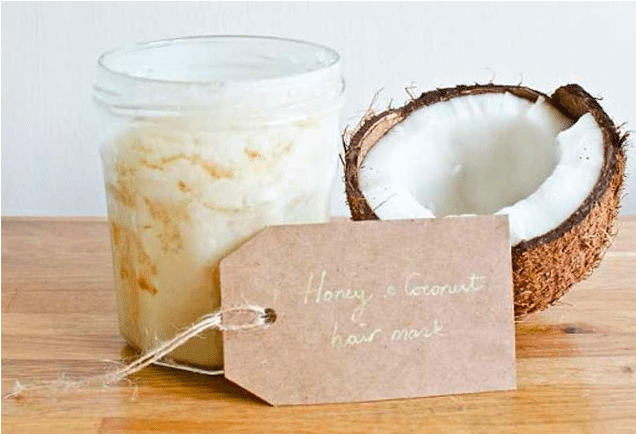 Hopefully, these coconut oil hacks will improve your quality of life! 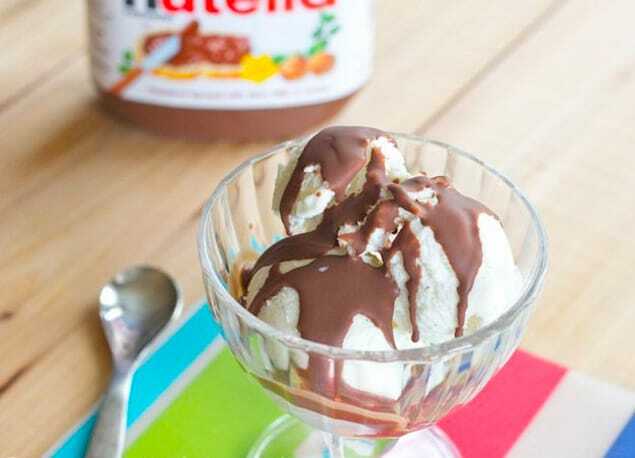 But when you can eat Nutella on ice cream, how can it not, right? Please SHARE these great tips with your friends and family.